Honestly, I never planned on reviewing Beachbody’s “snack bar” the BEACHBAR. But since it’s been almost a year now and I keep getting questions, I figured it was time to grab myself a box and share what I think. How they taste, what containers they count as, and if the ingredients are any good. The Beachbody BEACHBAR is not meant to replace a protein shake, and it’s not really a protein bar either. It’s literally a nutritionally balanced snack bar. It has the perfect amount of calories for an in-between meal snack. After trying out the peanut butter chocolate, I can also say the BEACHBAR will help with serious chocolate cravings. If you’re reading a blog post about a snack bar made by Beachbody, you are likely following a workout program from the company too. Since every workout program promotes a balanced approach to eating healthy, the Beachbar is very balanced when it comes to nutritoni. The key is that you want to be eating often and healthy to keep your energy levels up throughout the day. Beachbody workouts are intense, and you need to fuel your body with healthy foods throughout the day to get the best results. Peanut Butter Chocolate: This is the flavor I tried. It’s very good, but nothing amazing. The texture is chewy crispy (which I wasn’t used to), and the flavor is a good balance between peanut butter and chocolate chip. Chocolate Cherry Almond: I’m not a big chocolate cherry girl, so this is a flavor I’m probably going to hold back on trying unless I get flooded with questions. If you’re using the portion control containers from the 21 Day Fix and other programs, you’re going to want to know what color container to count the Beachbar as. 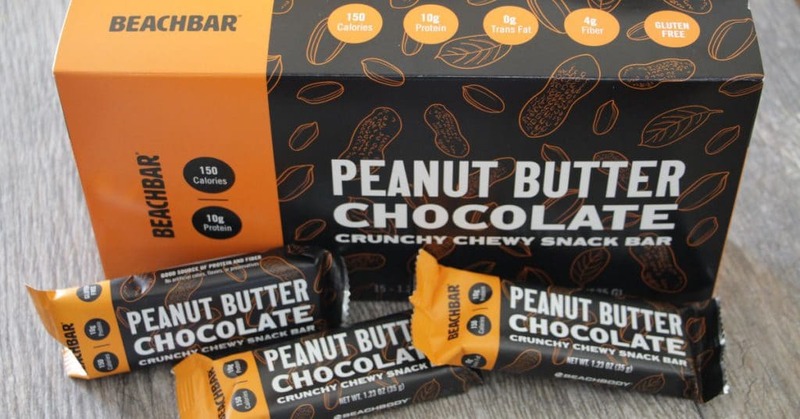 Each bar contains 10 grams of protein and 4 grams of fiber! And most importantly, 0 grams of Trans fat. 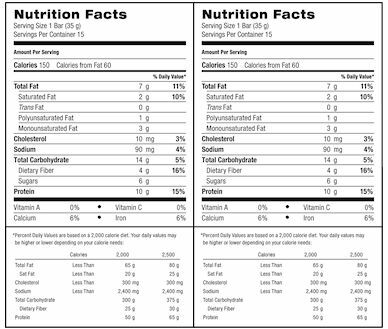 Between to the two flavors, there isn’t much difference in macronutrients. The chocolate cherry BEACHBAR contains 5 more mg of sodium and 1 g more of sugar, pretty negligible. They are also gluten-free. The Beachbar does contain stevia as a sweetener. It’s listed near the end of the ingredient list, so there isn’t much. I can usually taste stevia in everything, and I couldn’t in these. Calorie for calorie, the Beachbar is higher in protein, fiber and lower in added sugars than most “snack bars” you can find. Here’s a comparison of the ones I know are pretty popular. Why not just have a protein bar? Because most protein bars contain a lot of sugar. We are talking 20+ grams of sugar in many. My guess is the increase in protein requires more sugar for better flavor, which is why I stickl mostly to “snack bars” over the protein ones. And for the record, I am not knocking the Larabar or Kind Bar or BEACHBAR, I just wanted to show the difference between the three nutritionally. I still have have all three of these bars in my cabinet and will to continue to enjoy all three in moderation. Remember whole foods are best! The base cost for a box of 15 BEACHBARS is $39.80. Team Beachbody sells 1 box at $39.80, 2 boxes at 79.60, and 3 boxes at 119.40 options. 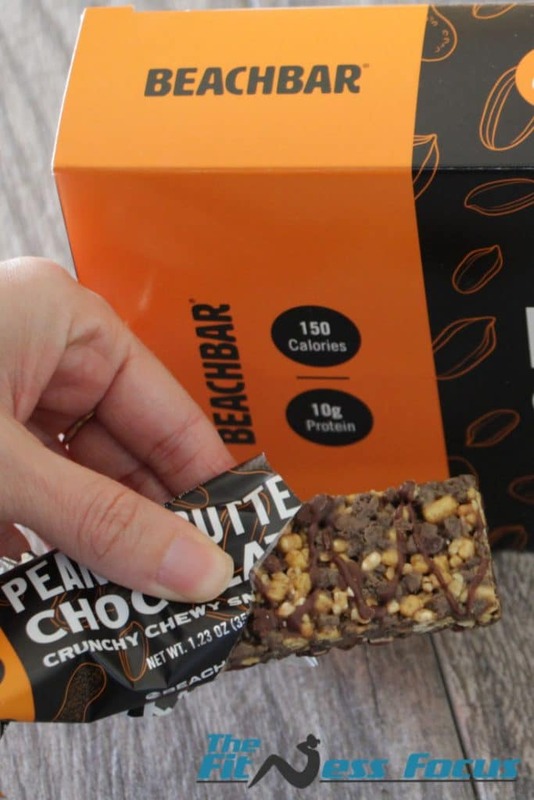 BEACHBARS are not individually sold or available in stores. Link to Team Beachbody BEACHBARS ordering info. I’ve also noticed that sometimes BEACHBARS will often pop up as an add-on item when checking out with a Beachbody program or other nutritional supplement in your cart. I’ve seen deals as good as getting an additional 10% off and free shipping. Beachbody also includes a 30-day money back guarantee on BEACHBARS. They will refund the full purchase price less shipping and handling if you are unhappy for any reason. They’re pretty good tasting. Not the best thing ever, but a great little snack with good ingredients. They were a little bit chalky texturally/tasting for me on literally the first two bites, but now that I’m on my third or fourth BEACHBAR, I no longer notice. I’m guessing this is just something to do with the pea protein or something to do with the fact I’m really sensitive when it comes to food texture. Affordable. Choose autoship for $2 shipping or try it as an add-on item for a possible discount. Just remember the most important part is to get in a snack or two every day that contain the essential nutrients your body needs to function at an optimum level. Avoid the sugary, salty convenient snacking trap that is so easy to fall into. 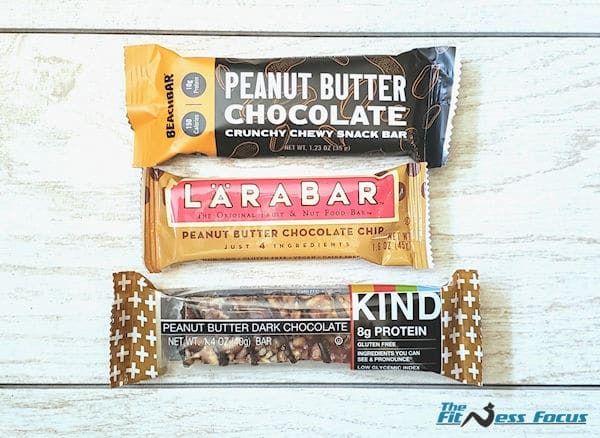 Keep a couple BEACHBARS on hand, and you’ll go a long way to keeping a healthy handy snack that fits into Beachbody nutritional plans! Good, semi crunchy texture with a good amount of chocolate.